We have set this model up for use as an Import & Export meter, simply showing total Energy (kWh) imported and total Energy (kWh) exported, perfect for those generating their own electricity using solar PV or wind turbines. We have set this model up for use as an Import & Export meter, simply showing total Energy (kWh) imported and total Energy (kWh) exported, perfect for those generating their own electricity using solar PV or wind turbines. 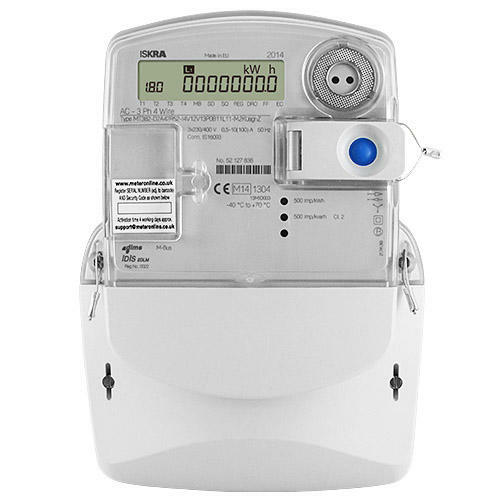 However, a number of other parameters, as well as multiple tariffs, can be pre-programmed on to the meter prior to dispatch. Simply select the Pre-programming optional extra, and enter your requirements in the text box upon ordering. For a full list of available measured parameters, view the Product Specification tab right.